The Western Jihadism Project is a unique multi-media archive of quantitative and qualitative data recording the growth of Jihadism in Western Europe, North America, and Australia since the early 1990s. The data collection now comprises records for terrorism offenders from 20 countries. 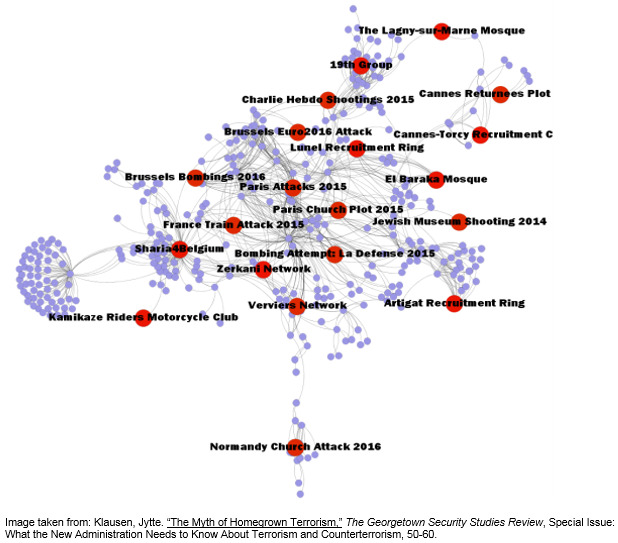 The collection provides individual-level data for analyzing the demography of homegrown terrorism and micro data for charting the transnational networks responsible for the development of the Western branches of Al Qaeda’s transnational political organization since the early 1990s. The premise behind the project was formulated a decade ago. Globalization has facilitated the transformation of Islamist extremism into a new type of globalist terrorist movement that cannot be controlled by the means that Western governments used to control domestic terrorism. Ten years on, the mechanisms of the Western homegrown movement inspired by Al Qaeda and its cells and counter-cultural groups and the globalist Islamist terrorism are still poorly understood. Requests to access the data should be directed to Dr. Klausen. Institutional Review Board protocol approval and an approved research plan are prerequisites to accessing the data. Individual graduate or Ph.D student requests for data access will require institutional permission. Otherwise, all access requests are limited to research teams. The data has been manually coded following a codebook detailing nearly fifty variables ranging from data of birth and other demographic information to information about criminal acts, charges, and convictions. All the data derives from public sources ranging from court record, government press releases, and autobiographical statements made by the terrorism offenders themselves on social media or in Jihadist forums. A segment of the data is available through the National Archive of Criminal Justice Data (NACJD) at the Inter-university Consortium for Political and Social Research (ICPSR) through a previous study conducted on "A Behavioral Study of the Radicalization Trajectories of American "Homegrown Al-Qaeda-Inspired Terrorist Offenders" in 2016.